We have since ventured out of the wilderness, and found our way to www.geekforcedelta.com. This is our new, permanent home. The first episode of GFD Live is up on the site now, and features all of your favorite GW2 Saucecast members! Go! Now! Enjoy! And here is the video if you don't feel like clicking the link. Bum. 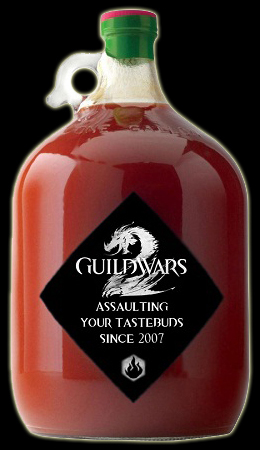 If you have been following the GW2 Saucecast, you will have heard by now that we were all fired from the Saucecast. Seriously. Fired. From our own podcast. I'll give you a moment to wipe your tears. Fired, and moving on to greener pastures. We (Me, Screwtape, Sam and Kysif) are headed to MMOFringe.com to do a few write-ups on some of our favorite released and upcoming games, as well as our new podcast: MMOFringe Presents: Geek Force Delta! We'll cover anything and everything we want. Which includes but is not limited to, well, everything. Mostly games, movies, tabletop, TV shows...pretty much anything. You get the point. Head over to MMOFringe.com and join the growing community! GW2 Saucecast: Episode 5 is live! This is the episode where we get fired. Annnnnnd...BETA LEAKS! WE COVER IT! Absolutely love this in Divinity's Reach. Over the weekend, there was a leak of Beta proportions on Reddit. Looks as though the internal build of Guild Wars 2 is much farther along than what we have had access to for BWE1. Seems as though ANet is in pencil sharpening mode, and GW2 is very close to release. BRING IT ON. To blow it up, or not to blow it up...that is never the question. "The weapon/device kits are effectively weapons which you store in your utility skill slots; they each have 5 abilities available to them. Some examples of these are the flamethrower kit and the bomb kit, you can use however many of these as you like at a given time, giving you up to a total of 4 effective weapon sets to swap between. If you have more than one active however it’s important that you pick up the major trait in tools which reduces the recharg between swapping weapon sets or you’ll often end up being locked out of your weapon sets as they’ll be put on a 5 second recharge whenever you swap from a weapon kit back to your main weapon set." Head here to read the full guide. If you're new to the world of Guild Wars 2, and are looking for a great introduction into story, races and main antagonists, then look no further. Gamerlive.tv recently interviewed Jeff Grub, Lore and Continuity designer for Guild Wars 2. Jeff covers all of the basics, and touches on how each race has its own issues caused by the awakening of the Elder Dragons. He also covers how choice in personal story is going to affect replay-ability. 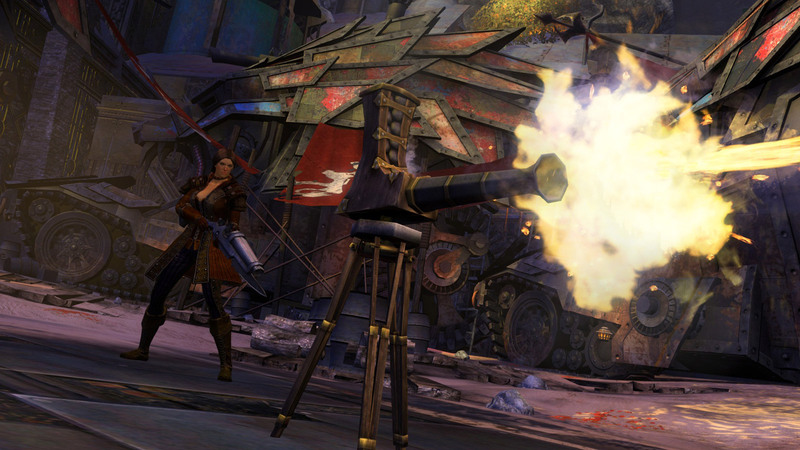 This is a great introduction into the world of Tyria, and what players can expect in Guild Wars 2. Episode 4 is here! Join us tonight with special guest host Kefkah, from guildwarsinsider.com, as we discuss all things BETA! WOOOT! WE FINALLY GOT TO PLAY THIS FRICKIN GAME!